Touch Of Belle : #Bloggersdoitbetter DIY Lip scrubs! Natural lip scrubs leave your pout soft, smooth, and lipstick ready! Even though it might be spring here in England It's still cold and it's windy, so I bet a lot of you are suffering from chapped lips because of the weather. While I could have gone looking for store bought scrubs, I decided to make my own lip scrub instead! DIY beauty products are fun and inexpensive, after all, and you know exactly what's going into them. The ingredients I used you will probably have in your kitchen right this very minute! Blend all ingredients in a small container, measuring equal parts of each ingredient in your bowl. I like to make a two-use batch, so I combine about half a teaspoon of each ingredient. If you want more graininess, add in more sugar. Likewise, if you want a smoother batch, add more olive oil or honey. And there you have it a simple easy way to make your own lipscrub! If you try it out at home let me know how you get on! 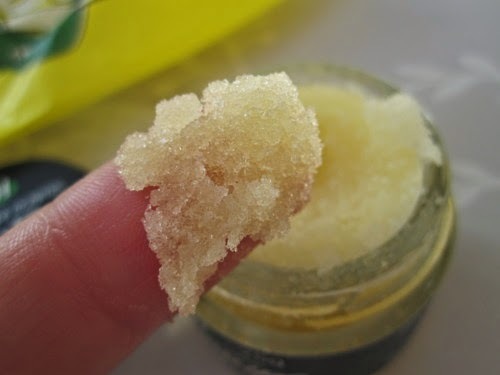 Have you ever made your own lip scrub? Let me know in the comments below! They are great if you can make them yourself! Its such a simple but effective way of making your lips smooth! I have been making my own lip scrubs for a couple of months now. They are amazing! They are it leaves my lips so smooth! Oh this sounds great. I love using brown sugar as a facial scrub but I never used it on my lips before. I have never used it as a face scrub before I will have to try it out! I have two Lush lip scrubs but I never use them as I forget always forget to. They are great and so inexpensive and make my lips feel great! I love making my own scrub. It's so easy and simple there's no need to pay for a lip scrub when the ingredients are in my cupboard. I agree! They are so fun to make aswell!